Chronic allergy and sinus issues can be a source of headaches, literally and figuratively. Science shows a particular probiotic and yeast can help. Allergy symptoms vary widely. Sinus pressure, itchy skin, watery eyes, infections, and a runny nose are a few of the many issues that can occur. Many medications only cover up the symptoms. Symptom relief is not a fix. It’s a patch. If you are looking for answers to your allergy and sinuses issues, studies show simple interventions can help. An allergy, sinus “attack” happens when your body overreacts to certain outside “invader,” including microscopic pollen, dust, egg protein, weeds, pet dandruff, nuts, and fruit acids. This list is much longer. Contact with or ingestion of these substances triggers your body to release a response. This response becomes overkill. An over-reactive response to these substances produces chronic symptoms. A normal response is minor, and there are no physical symptoms felt. 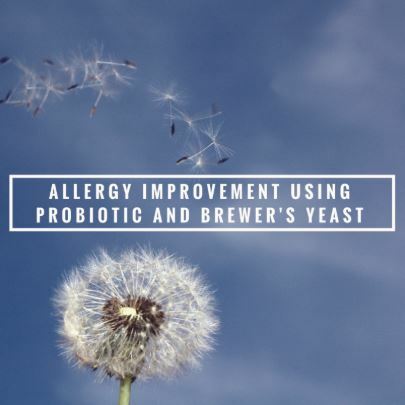 Studies show improvements in nasal congestion, reduction in swollen nasal passages, and eye symptoms occur with the use of a probiotic (lactobacillus acidophilus) or yeast fermentate. Studies here, here, here, and here. More exist, but we will highlight a few. The probiotic, Lactobacillus Acidophilus (L-92), shows a 31% reduction in swelling and nostril lining redness. Under normal circumstances the lining of nostrils should be pale. This study lasted over two allergy seasons. 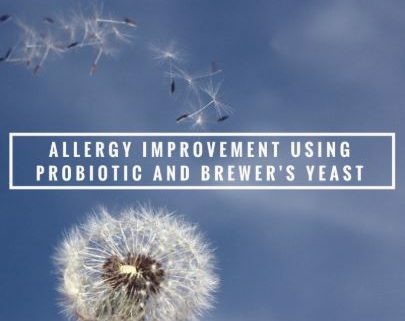 Ninety-six people who took yeast fermentate for twelve weeks showed a decrease in runny nose, nasal congestion, and a 43% reduction total days with nasal congestion. When Do I Take a Probiotic or Yeast Fermentate? These supplements do not act like an Advil. Take these supplements as part of your daily routine. L-92 and yeast fermentate are used to normalize your immune response by improving your immune system; essentially getting to the possible root cause of your “overkill” responses. Let’s also preface, that each and every person is unique, so people may not feel the same effects that others may feel. If you want to supplement with L-92 and yeast fermentate, try these (here and here). Finally, the master of the immune system is your nervous system, the electric wiring of your body. If spinal segments obstruct nerves exiting the spine, function of the immune system will suffer. Obstruction of the nervous system is like parking a dump truck over a water hose. No water will exit the hose. Thus, normalizing spinal structure is vitally important to optimum health.